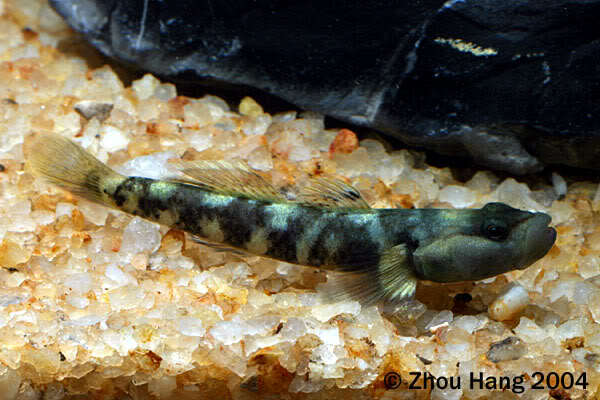 yaoshanensis: we haven’t seen the original description but presumably named for Da Yao Shan mountain which lies close to the type locality given for the species (see ‘Distribution). Type locality is given as ‘Jinxiu, Guangxi, China’, which corresponds to Jinxiu Yao Autonomous County of Laibin City in eastern Guangxi Zhuang Autonomous Region. Jinxiu Yao is mostly mountainous and prior to 1966 was known as Dayaoshan Autonomous Zone in reference to nearby Da Yao Shan (Da Yao Mountain). R. yaoshanensis only appears to have been recorded from streams draining this area to date. Likely restricted to shallow, flowing, well-oxygenated headwaters and minor tributaries characterised by stretches of riffles and runs broken up by pools or cascades in some cases. Substrates in such habitats are normally composed of smaller rocks, sand and gravel with jumbles of boulders and patches of submerged leaf litter. During periods of high rainfall some streams may be temporarily turbid due to suspended material dislodged by increased, sometimes torrential, flow rate and water depth. An aquarium with base dimensions of 60 ∗ 30 cm should prove large enough to house a small group. Should not prove difficult to maintain under the correct conditions; as per other Rhinogobius spp. we strongly recommend keeping it in a tank designed to simulate a flowing stream with a substrate of variably-sized rocks, sand, fine gravel, and some water-worn boulders. This species’ name has appeared quite regularly on ornamental fish trade lists since the mid-00’s but it’s unclear whether the species itself has ever been exported since fish labelled as such do not appear to fully match the most recent key in which it’s included (see below). 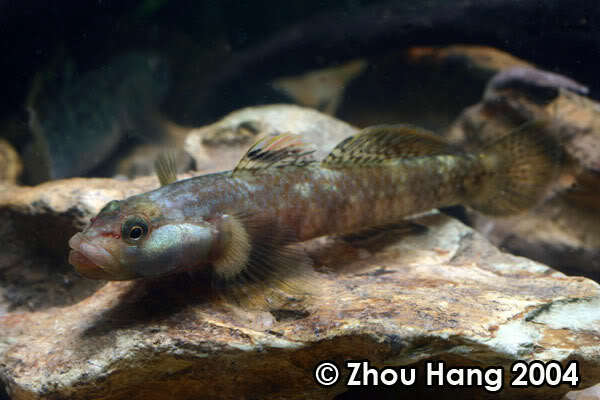 That said, its natural habitats lie in the same region as the loach Yaoshania pachychilus so it’s reasonable to assume that some specimens may have been collected, and the fish in our images were caught close to the type locality. Chen et al. (2008) suggest that R. yaoshanensis can be told apart from congeners by possession of 5-8 scales between the origins of the first dorsal-fin and upper pectoral-fin, 14-15 predorsal scales, small cycloid scales in the pre-pelvic region, postorbital region with paired pore ω and preopercular region with 3 pores. This gives the fish a somewhat flattish, elongate profile despite its small size since the majority of related congeners have 9-11 scales between the origins of the first dorsal-fin and upper pectoral-fin plus 0-11 predorsal scales. – historical over-use of some names, e.g., ‘Rhinogobius wui‘ which is itself an invalid synonym of R. duospilus. A new species of Rhinogobius (Teleostei: Gobiidae) from the Julongjiang basin in Fujian Province, China.